Finally I came to my outfits part. What do you think about denim? I love it. Even when it's summer (or was summer back then) it's nice to feel it on you again. After my bootcamp adventures I craved for skirts and all things girly so this outfit for me was like a fresh air. I love how simple and lightweight it came out. 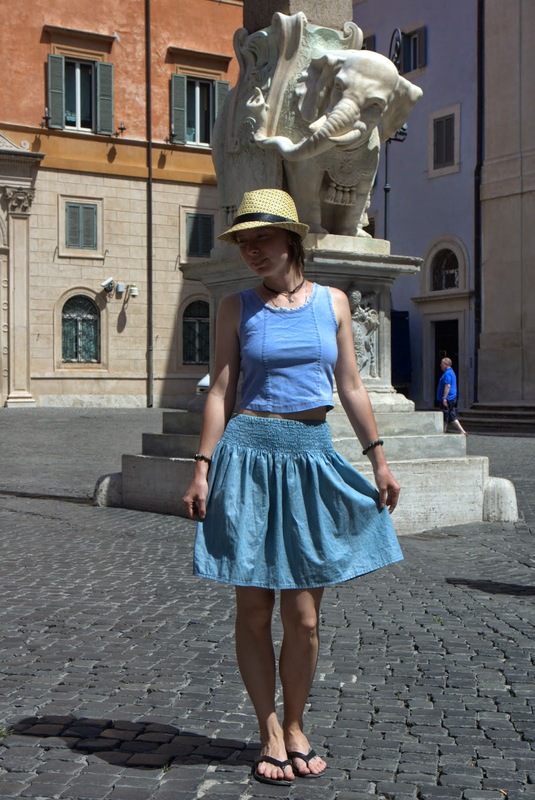 Hat and extra-light shoes (sadly partly ruined) added a nice charm to the whole travel look. Rome is very impressive always and wearing something nice He's even better. I like your outfit, it seems perfect for a summer ending look. 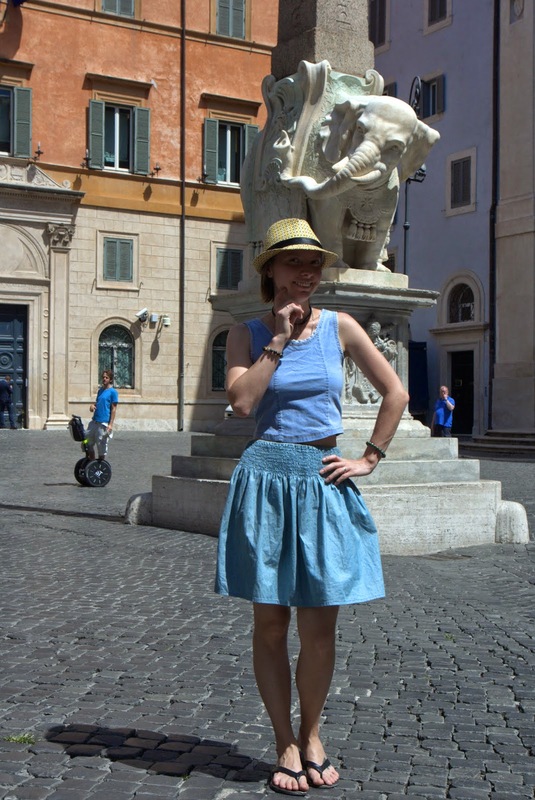 Wonderful photos to stroll around in Rome. Thanks for sharing. Oh, Rome, a city of such history. How I long to visit. You look full of energy, and also feminine, in this denim. Thanks for the mini tour. oh thanks for letting know. got back to you already! yeah, I think this skirt is priceless already - I keep wearing and wearing it over the years. I love the cute hat!